Posted on June 22nd, 2010 by Dave Johnson. Filed under smart grid. The “smart grid” is a pretty popular term these days is used to describe a new generation of electricity distribution network or grid where electricity usage at by the end user is tracked in real time. 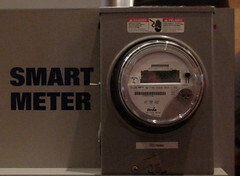 Today, tracking of electricity is done by prediction until the utility physically sends a person to the consumers location who then reads the value on an electricity meter. This new real time tracking of usage also means that the consumer can not only see their usage at any given time, but they can also see the price of electricity at that time allowing them to make decisions to try and save money - generally that means using electricity at night when rates are lowest. If there is one thing that is clear, it is that the smart grid is going to be built on Internet standards like TCP/IP, the only question is what medium it will use. It might be WiFi, mesh networks, power line communication, cell networks, radio, or just plain old broadband. The interesting part is that however the data gets from your house or business to the utility, it will have to be over a TCP/IP network that could conceivably have enough bandwidth to also provide you with services ranging from Internet to phone to television - as many telecommunication companies do today. With enough bandwidth a smart grid utility could provide ALL of your utilities. Companies like Google are certainly ready to be the provider of all the software a utility might need on top of an Internet connection to be your single utility provider. With Chrome OS or Android as the nervous system of a smart house to Android on your mobile phone, TV, Voice and PowerMeter. These pieces of software could even come from various providers like Skype or Microsoft but certainly using a battle hardened, open source, developer friendly operating system like Android at the core makes sense. Beyond that they should also be taking advantage of the increasingly powerful smartphones like the Android, iPhone and Blackberry and using them as the user interface to all of their smart systems. In the past the stringent security and reliability requirements placed on utilities probably forced them to write their own software preferring security through obscurity rather than using open source software that probably didn’t even exist. Today is different though and there are many open source software projects that can likely stand up to their requirements. If utilities were as smart as they hope their grid will be, they would be ensuring that their smart grid offering gives them the ability to offer other value added services to their customers just as other communications companies have either moved from providing broadband to providing voice services or vice versa. Tags: electricity, Google, mobile, smart grid.